Microsoft Mobile Memory 8000 mouse is a pointing device designed for notebook users (I purchased it for my notebook as I dislike touchpads 🙂 ). This mouse features also 1GB flash memory, which can be used as a usual portable flash drive. Apart from this, this device features a rechargeable NiMh battery, so you do not need to carry extra batteries. 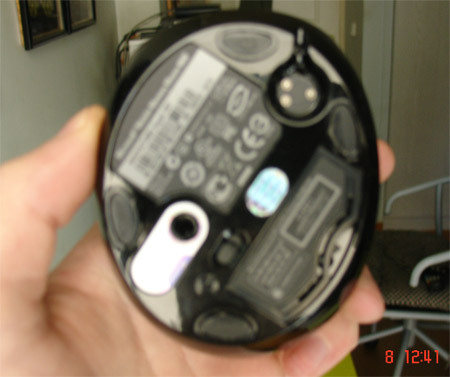 As you see on the image above, the pack contains the pointing device, the reciever which is also a 1GB usb flash drive, a magnetic cable which is used for charging your battery, a case for carrying the mouse and a poor leaflet with instructions on how to install the mouse alongside with the IntelliPoint driver cd. Microsoft Mobile Memory Mouse 8000 can be connected to your notebook via Bluetooth if your notebook supports it. 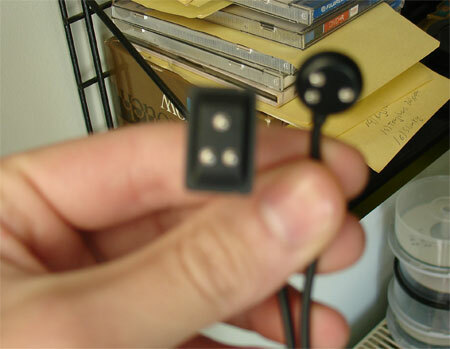 If you choose to connect it via bluetooth, you do not have to plug the transceiver, so you have one more free usb port on your notebook. Changing interface between 2.4Ghz and bluetooth can be easily done via a button on mouse’s bottom. A button for turning the device on and off is also located there. Charging the mouse is really easy. There is a led light near the tilt wheel: if the led glows red, it needs to be charged. You have to plug the magnetic cable to the transceiver and to the mouse. When the cable is connected, the indicator light becomes green and solid green when its fully charged (needs up to 5 hours for a full charge). You can continue using the mouse while it is charging, but the computer must not be on hibernate mode or turned off. Mobile Memory Mouse 8000 uses laser technology. The pointer is accurate enough and well responsive. IntelliPoint software lets you customise buttons’ behaviour and point speed. If you would like to use the mouse under Windows Vista and want the tilt wheel to support Flip 3D function, you have to update IntelliPoint to version 6.2 (the mouse is shipped with version 6.1). Tilt wheel features 4-way scrolling and there are also two customisable buttons on the right which by default are used as “back button” and magnifier. The device’s design is great. Touch feeling is nice, solid and very ergonomical even for people with big hands. 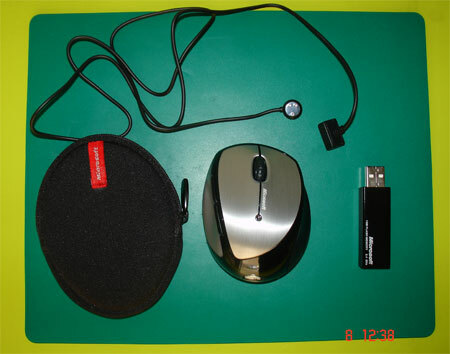 Although the mouse is small and lightweight, so it can be carried easily using the included carrying case. The transceiver is bigger than many others in the market, but is as big as a usual usb flash drive. Microsoft Mobile Memory Mouse 8000 is an elegant device, with nice design, easy-to-carry which features also 1GB flash memory built in the transceiver. To pros should be considered that it can be charged straight from notebook by connecting the transceiver with the mouse via the magnetic cable without stopping working or having to change battery every so. Its package should be considered full, although its price is high (€ 98 here in Greece). Bought it today! Rocks! The charging cable is easy to use and provides smooth operation while recharging the battery! Charging though can take up to 5 hours if use the mouse when you are re-charging it! I love this mouse. The way it feels in my hand and maneuvering, but it randomly blinks red and cursor gets stuck every now and then.